Goethe and Schiller, as representatives of Weimar Classicism, had a pivotal function in the cultural policy of the GDR in the forty years of its existence (1949-1989). Goethe in particular was crucial to the GDR's aim of finding a focus for the cultural reformation of post-war Germany in the Soviet-occupied zone. This book offers a study of the implications of such a situation for the reception of Goethe and his work. 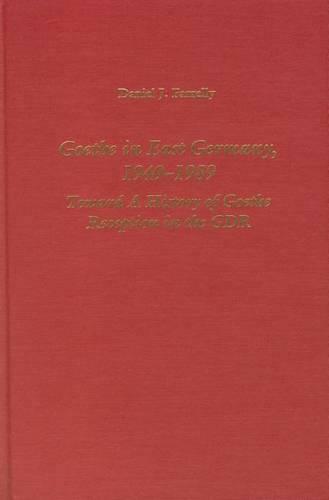 Contrary to the general perception, influenced and represented by Walter Hinderer's chapter in the Klassik-Legende, that one-sidedness and blind obedience govern the inflexible commitment of GDR scholars of the German classical period, it can be shown that the GDR Marxist tradition of Goethe scholarship is in fact characterized by a series of vigorous internal debates.